Note: After The Sims 3 Generations this error has become less likely due to patches only being applied to the base game and not all expansions. Launch Origin to ensure that it's fully up to date. At this point the launcher should prompt you that another update is available and you should be able to update your game. Another way of attempting to solve this problem with your game is to clear the game cache. Go to your 'The Sims 3' folder found in your documents. After doing this, launch The Sims 3 Launcher again. You should be prompted to update, or regain the functionality to launch the game. If not, you'll have to reinstall your games in order. This can be an annoying process, however, this resolves it if you can't find another way. Uninstall all of The Sims 3 expansions and stuff packs before the base game. Ensure every 'The Sims 3' title, including the base game, is uninstalled from your computer. You can tell the uninstall wizard to keep your game files so you don't loose anything. Your game should now work once again! If you're prompted to update, if you didn't update after installing The Sims 3/before any expansions, then be sure to patch now if available! 71 people had this problem. Thanks for the steps, they are really important . Glad this is of use to someone. It's a very annoying error, which I experienced too - thank god they fixed the patching system so it's not as common anymore. Information like this helps other users and is the sort of thing needed to help lay the foundations of this community. This post has thus been floated, so it stays at the top of the Sims 3 area. I have uninstalled all Sims 3 content, reinstalled the game and it worked fine until I applied the patch. I even removed all Norton software and defragmented my hard drive. The launcher worked fine until I patched the game. Any suggestions? Are you seening the 0.0.0.0 error ? Do you have just the base game ? Did you patch through the launcher ? I have spent 5 hours uploading The sims 3 with pretty much every expansion pack and stuff pack. i now get the following message BEFORE the launcher even comes up. Unhandled page fault on read access to 0x0000000c at address ox102105b. As with everyone else the debug option does nothing.... other than freeze my computer. The online forum's from a long as 3 years ago say that EA have not helped fix the problem. i hope this isn't the case as I want to play the game. What can I do get this resolved ? Are you on a mac or PC ? 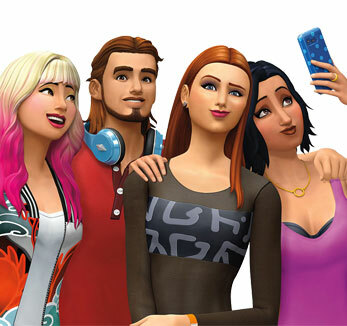 i have instaled the sims 3, world adventures, ambitions and night life and, i made everz thing and i can plaz the game.... anz one can help need i too buz the full collection too plaz the game?